Conquer self, Conquer the world! When Srini blogs, we'll deliver it right to your virtual doorstep.. It has always been a pleasure contributing to the spaces where children observe, introspect, participate, engage, discuss, debate and learn. One such movement that I have been part of as a volunteer, contributor and advisor has been ITIHAAS, an endeavor by a team of strong-willed and highly capable youth lead by Smita Vats and Shivani, has been doing a yeoman service for over 15 years now, in the space of Heritage Education for children. The movement now addresses children and institutions in Delhi, Uttar Pradesh, Rajasthan and Madhya Pradesh while children from across the country travel to these states to soak in and also learn the heritage of our rich, composite nation. There are many initiatives by ITIHAAS, year around, that engage the children, schools and the entire education community not only through their walks but also through facilitation of research in literature, music, traditions, livelihoods that are integral to Heritage. I have not done justice to this event if I do not speak about the Live painting by Artist Vilas Nayak that mesmerized His Holiness The Dalai Lama Dalai Lama. I consciously did not do, as I felt I need to write a separate story on it. I shall. Mama, Papa…. there is nothing in my bag today! 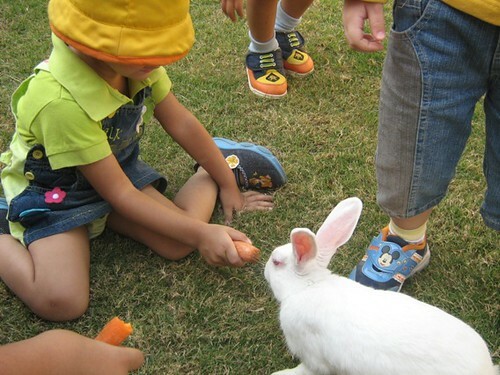 This rabbit does not eat carrot! …. how come? I learnt about a rainbow and how to weigh. So please. don’t say, anything in your bag today? 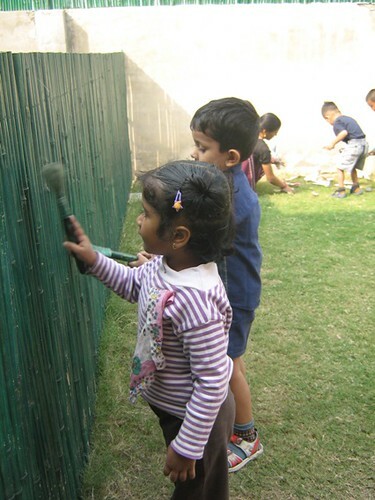 How to paint my fence! to wait my turn, and when inside, to walk. to do it with a smile and not a frown. so please don’t say, what, nothing in your bag today? What fun building my own home! agreed to differ, not to fight. So please don’t say, did you only play today? Last couple of months have seen me crisscrossing the country to facilitate this conference in multiple cities and a few more are lined up in the coming weeks. Though I have been involved in creating and anchoring workshops for parents, adults, mentors and educational leaders in the early childhood space for over a decade, one for the school leadership has definitely been a challenging one, always. The top most of these challenges is that of creating eagerness in the school leaders to just come together to share their learning while being open to learning from others. Though we, as school and education leaders, are looked up to create and nurture learning, most of us have an ‘aura’ about ourselves and think that ‘we are the be all and end all’. Learning has agenda does not exist. We ‘Impart Knowledge’! I have always been looking at opportunities to learn, whether through books and web, or attending these learning fora and conferences wherein just listening to someone’s sharing adds richness to my thoughts and ideas. The personal interactions add so much more. 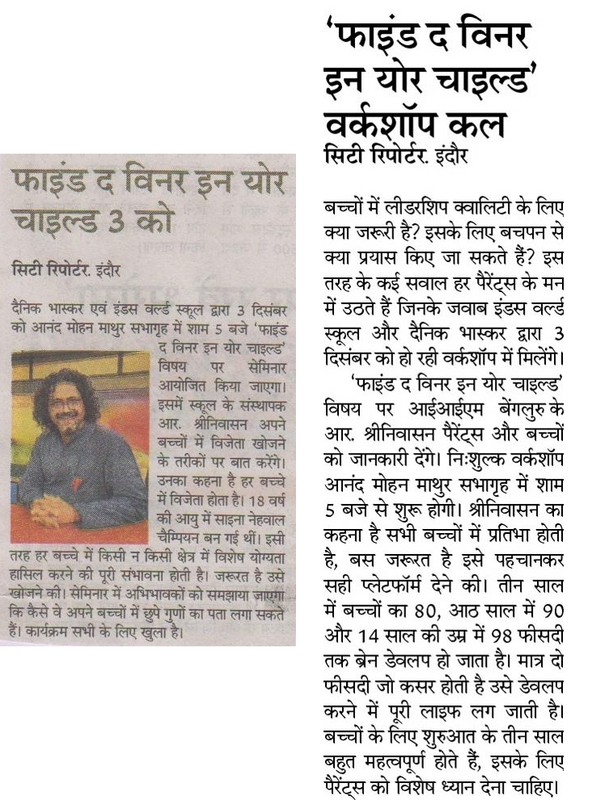 Anchoring and facilitating has added immensely to my learning. The beauty of facilitating a session is in observation and reflection. So much emerge out of the interactions among the participants, as a facilitator I just need to put those together with a couple of ideas to reach out to everyone. It gives a sense of dejavu for almost every one. I feel delighted and also satisfied when at the end of my workshops the participants – parents, mentors or school leaders – come and share how they identified themselves with the issues or examples that I raised or shared. It is just about our ability to observe happenings around us closely, empathize with the situation, relate to them and imbibe the learning and essence, while also being good at expressing the way others can identify with it. So much more to learn and so much more to share and do to reach out to every parent and adult to make a small difference to every child around us, who are young leaders of today capable of impacting the world of tomorrow. Daddy, I have $100 now. Can I ……? SON: “Oh! (With his head down). The little boy quietly went to his room and shut the door. The man sat down and started to get even angrier about the little boy’s questions. How dare he ask such questions only to get some money? Maybe there was something he really needed to buy with that $ 50 and he really didn’t ask for money very often. The man went to the door of the little boy’s room and opened the door. SON: “No daddy, I’m awake”. The little boy sat straight up, smiling. Then, reaching under his pillow he pulled out some crumpled up bills. The man saw that the boy already had money, started to get angry again. The little boy slowly counted out his money, and then looked up at his father. SON: “Because I didn’t have enough, but now I do. The father was crushed. He put his arms around his little son, and he begged for his forgiveness. The ‘brightest’ youth of the country trying to find light at the end of the ‘darkest tunnel’! 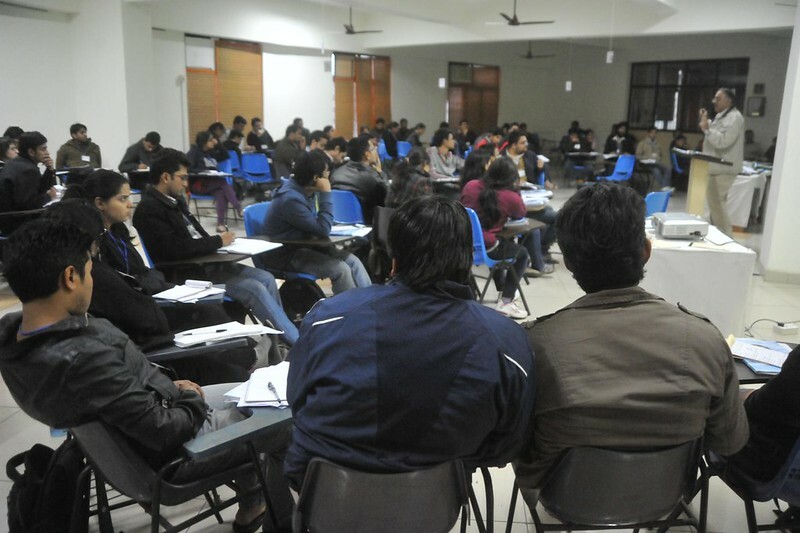 I headed to Varanasi for yet another PDP boot camp aimed at the young bright aspirants who have received calls from the best of the Business schools of India. I usually board a train to Varanasi, as it is only a overnight journey. After my wonderful experience (it was a 72-hour ride for an usual 12-hour schedule!) with the last week’s Shahisnan (the important bath day) rush on the Indian railroad heading to and out of the Kumbh mela, I decided to fly over the Kumbh during the next shahisnan that was scheduled on Feb 15. I boarded the flight a day before the PDP boot camp so that I could start off the boot camp early morning, on the following day. That gave me a clear evening to go about in Varanasi, one of my favorite cities of India. The sky had opened up. It was pouring and was so cloudy that the pilot had a challenge on his hand – he could not spot the runway when he almost came to the landing altitude. All of a sudden, the captain revved up the engine, the wheels folded in, the flight gained altitude. There were moments of anxiety as the revving up looked like an emergency. A few like me sensed there was something wrong. After gaining considerably, the captain announced the challenge that was. Finally, after an hour of hovering, the flight landed on the Tarmac, skidding on the puddles of water as the rain was pouring. The pouring continued, destabilizing my scheduled of going around the ghats and covering the evening harati at dashswamedh ghat. But there was a surprise in store – a musical concert that, Baglaji, a good friend and CL champion in Varanasi, had planned to take me too. I will talk about the concert story in another posting of mine, though would like to say it was by Paul Livingstone, a young disciple of Pt. Ravi Shankar. After the concert at the peshwa haveli, on the raja ghat, still raining, I stepped out of the ghats to head my way back to the hotel. As I was famished and, was passing by the Shiva German bakery, in the alleys close by, my curiosity overtook me and I entered the bakery to experience the favorite jaunt of all visiting expats. German bakery was overflowing with foreigners. Thankfully three friends who were occupying a table next to the door got up and walked out after their meals. As I was standing next to the door, I quickly occupied one of the chairs, placed my camera on the table, and took a deep breath. As I was drenched, I made myself comfortable in the cozy corner. Four more entered, immediately after me and I offered them the table, and thought will move to a smaller space. But a young couple moved towards me while the other two moved to another table. We smiled at each other while they settled. Both of them apologized for encroaching upon my table. But I was delighted to have them, and I did tell them why I stepped into the restaurant, that had no other south Asian! We introduced to one another and I got to know that both of them are artists – painters – from Germany, fresh out of their arts school! While the tall gentleman, Michel, with a long matted hair tied into a bun on his head, is visiting India for the third time, his companion Meike, was visiting India for the first time. Both of them, in their mid twenties, were also excited to interact with me as I was asking about their journey through India, their impressions of India, what has been their fascinating encounters etc. Michel was innured to the contrasts that India, as a destination, offers, since it is his third visit; while Meike, shared the emotional swings that India has been triggering in her, as this was her first encounter with the stark disparities. They have travelled through Kerala, Karnataka, Rajasthan, Delhi, Allahabad during the kumbh and now in awe inspiring varanasi. The contrast of rich and poor, developed and those left behind, clean and dirty, spiritual and materialistic, concerned and apathetic…. The list I am sure is endless for the young Meike to come to terms with. Nevertheless, both were excited to be traveling and experiencing, especially one week that they spent with the sadhus of Juna-Akhada during the Mahakumbh in Allahabad. We discussed the art scene of Germany, especially Berlin and that of Delhi in India; possibilities of their paintings evoking their feelings of the experiences and that they could display in Delhi before they wind up their tour of India. At the end of our dinner, we parted with the promise of meeting soon, when they are in Delhi. The very next morning I was there at the ghats again, capturing the dawn and the rush of pilgrims to have their morning bath in The Ganges and Pooja. While capturing, I noticed a young lady, of a different nationality, in a traditional Indian dress and a bindi on her forehead, who was fascinated of the happenings around the Kedar ghat. She was trying to have a closer look at the action around her, and also was clicking a few photos. Out of curiosity, as usual, I started talking to Her. She revealed that she was Gala from Argentina, a student of international relations, and was working in the developmental space. She came to India for Jagriti yatra, of all the things, with which I have had a long association. One led to the other and she started realizing that I knew quite a few people that she has met in the last few weeks. She has spent over the last two months, apart from being on the Jagriti train, a month with an NGO in Bangalore and then traveling through Udaipur, Jaisalmer and Jaipur before reaching Benaras. 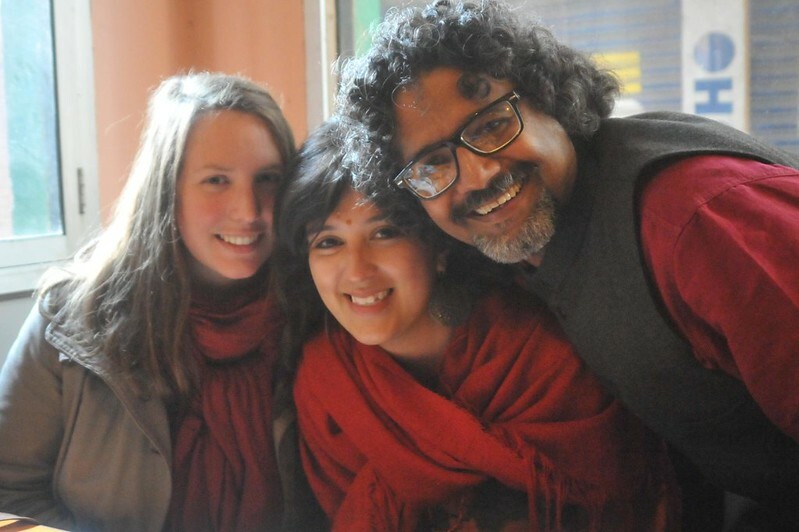 Gaelle from France and Gala from Argentina with Sreeni! I got to know that Gala is accompanied by another young lady, Gaelle, whom Gala met in Udaipur. Both are exploring India for the last one month. Gaelle hails from France and is a management graduate. 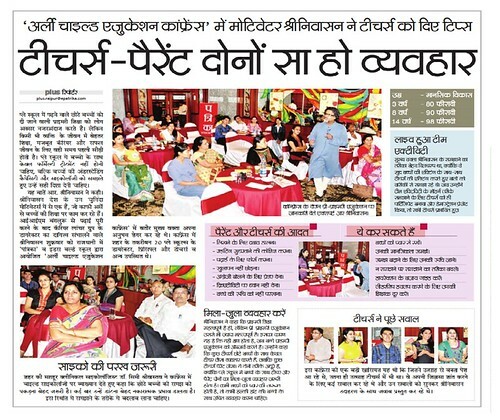 She wanted to visit India, hence sought a one month assignment with an NGO in Udaipur. After her assignment, she wanted to explore India, when she met Gala who was visiting Udaipur. I had the opportunity to meet both, Gala and Gaelle, over breakfast at shiva German Bakery. That interaction gave me a lot of insights about their journey. Gala shared that, “If I am able travel in India alone, I can go to anywhere in the world”, most probably alluding to the much publicised incidents involving the atrocities on young women, of late. Gaelle, shared that, “the social context in france discourages one from taking any breaks from education”; so she finished her B-school education before she started her journeys. Both were delighted to travel around the world, exploring within and without. Coming from middle-class families, from Argentina and France respectively, their families have been of great support, encouraging them to take their decisions.Both of them, in their early twenties, have already travelled extensively, knowing more about the world, more so discovering oneself. Gaelle shared that her 14-year old kid sister is far more aware about the world at her age than herself, because of what Gaelle has gained from her travel, post her B-school education. Her mother too is now more proactive in every sense. These travels have made a big difference to her family. In fact I happened to meet a host of youngsters who were visiting Varanasi from around the world and were good in music, playing one instrument or other. They all got together, created music and performed live for three consecutive nights on the banks of Ganges. Gala was sad that she was not carrying her Saxophone, else she would have joined in those music experiments. 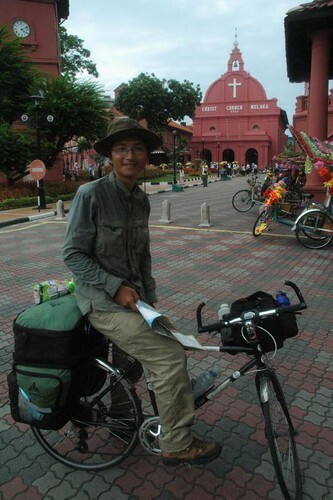 Chin on his 10 country cycling tour, standing infront of the church in Melacca!! A few years ago, I was in Melacca, a beautiful destination while driving across Malaysia, along with Mallika and Indira (family). We came across a young man, on a bicycle asking directions with a book on Malaysia in hand, and the knapsack of his firmly tied to the carriage of the bicycle. I interacted with him to discover that he was Chin, travelling from Gonjou province on his bicycle, and has already covered six countries before he met us at Melacca. He was heading to Singapore, Indonesia and Australian continent before he heads back to China… He shared about his learnings across the countries already travelled and that he was looking forward to the amazing learning in the subsequent months…. On the contrary, in every PDP Boot camp this year, conducted across the country, with the best of the Indian youth who have received calls from prestigious business schools of the Country, I had to really struggle to help them think about their purpose of doing MBA. With the interview calls in hand, they were looking for ‘spoon-fed’ answer to the questions like – why MBA? What is your plan for the next 4-5 years? Imagine that is the state of affairs of the brightest 22-25 year-olds in our nation!! They are unaware about self, of their own surroundings, foreget about their city. Lack of curiosity and inquisitiveness, energy and enthusiasm.. where would they lead to? A. What do we want our children and youth to be? B. How do we help them to be inquisitive and learners for life? C. How do we instill self belief? D. What should the ‘education’ process be? E. What is the measure of success? F. Can we as parents enable our children excel in life rather than push them to get ‘coveted’ degrees? G. Will our society and education community allow our children to take breaks to explore at least India, work and know more about themselves, before they pursue degrees and courses? Maths is boring for him, how to help.. The concerns went on and on. The three hour of interaction helped every one find answers to their concerns and the way they would like to help the child, themselves and their families. Here are a couple of coverages of the event. I shall soon put up the videos of the session. For a clear, readable version, kindly click on the following clips and see it on my FLICKR stream in the original sizes. One young academically excellent person went to apply for a managerial position in a big company. He passed the first interview, the director did the last interview, made the last decision. The director discovered from the CV that the youth’s academic achievements were excellent all the way, from the secondary school until the postgraduate research, never had a year when he did not score. The director asked, “Did you obtain any scholarships in school?” the youth answered “none”. The director asked, ” Was it your father who paid for your school fees?” The youth answered, “My father passed away when I was one year old, it was my mother who paid for my school fees. The director asked, ” Where did your mother work?” The youth answered, “My mother worked as clothes cleaner. The director requested the youth to show his hands. The youth showed a pair of hands that were smooth and perfect. The director asked, ” Have you ever helped your mother wash the clothes before?” The youth answered, “Never, my mother always wanted me to study and read more books. Furthermore, my mother can wash clothes faster than me. The youth felt that his chance of landing the job was high. 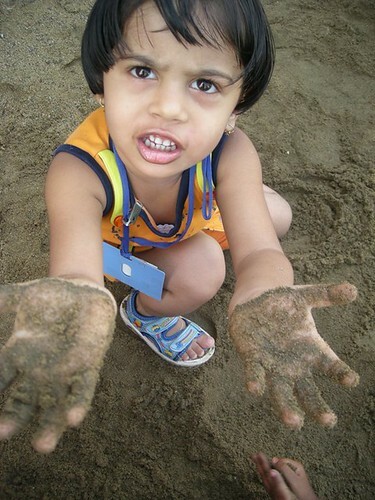 When he went back, he happily requested his mother to let him clean her hands. His mother felt strange, happy but with mixed feelings, she showed her hands to the kid. The youth cleaned his mother’s hands slowly. His tear fell as he did that. 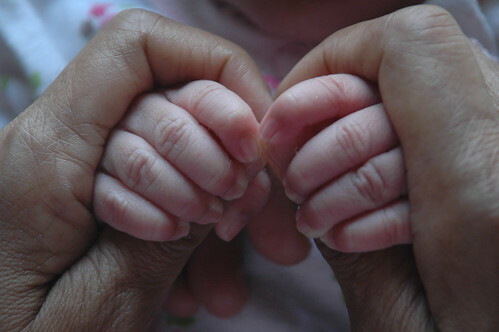 It was the first time he noticed that his mother’s hands were so wrinkled, and there were so many bruises in her hands. Some bruises were so painful that his mother shivered when they were cleaned with water. This was the first time the youth realized that it was this pair of hands that washed the clothes everyday to enable him to pay the school fee. The bruises in the mother’s hands were the price that the mother had to pay for his graduation, academic excellence and his future. After finishing the cleaning of his mother hands, the youth quietly washed all the remaining clothes for his mother. That night, mother and son talked for a very long time. Next morning, the youth went to the director’s office. The youth said, Number 1, I know now what is appreciation. Without my mother, there would not the successful me today. Number 2, by working together and helping my mother, only I now realize how difficult and tough it is to get something done. Number 3, I have come to appreciate the importance and value of family relationship. The director said, ” This is what I am looking for to be my manager. I want to recruit a person who can appreciate the help of others, a person who knows the sufferings of others to get things done, and a person who would not put money as his only goal in life. You are hired. Later on, this young person worked very hard, and received the respect of his subordinates. Every employee worked diligently and as a team. The company’s performance improved tremendously. You can let your kid live in a big house, eat a good meal, learn piano, watch a big screen TV. But when you are cutting grass, please let them experience it. After a meal, let them wash their plates and bowls together with their brothers and sisters. It is not because you do not have money to hire a maid, but it is because you want to love them in a right way. You want them to understand, no matter how rich their parents are, one day their hair will grow gray, same as the mother of that young person. The most important thing is your kid learns how to appreciate the effort and experience the difficulty and learns the ability to work with others to get things done.